There might be a need one day for you to send us some documents in order for us to update your Anisya profile. This might be documents such as your recommendation letters from employers, photocopies of your bio-data etc. However, if you do not have access to a computer or printer, how are you going to do your scanning and printing? 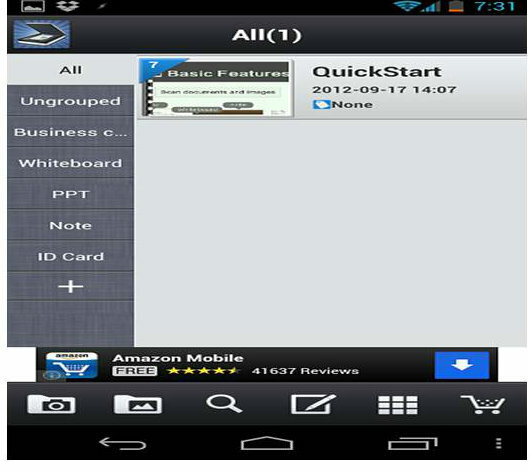 For smartphone users, we introduce you to this free app that is available on your appstore, called CamScanner. 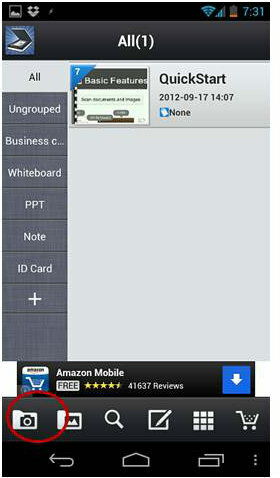 You may use this app to help yourself and friends scan documents online thus removing the need to go to Internet cafés. 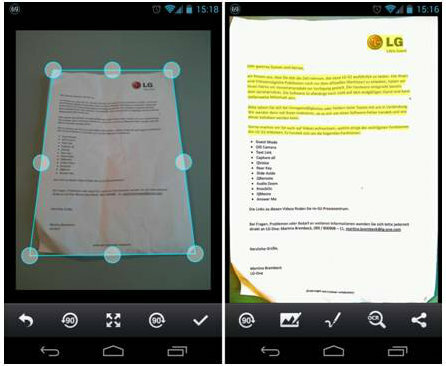 Using CamScanner, you may turn photos, documents into digitalized PDF documents. Here are the basic instructions on how you may use CamScanner to send us a document. After downloading the app from your appstore, click on it to start using. When you first enter, you will enter the homepage where you will see a list of all the documents you have in the page. Click on the camera icon on the bottom (circled in red) to take a picture. After taking the image, click on the check icon (circled red) at the bottom of the page to move on to the next page. You will then be required to choose where you want the borders of the documents to be by dragging the corners exactly where you want. Once you are done, click on the check icon again to move to the next page where you will see the enhanced image (Image on the right). Now, you can simply click on the Share button (circled green) to share to document with us via email. Simply send it to support@anisya.com and voila, you are done!